Will Spotify’s new features keep Apple Music at bay? Which Apple product should the company put to rest? 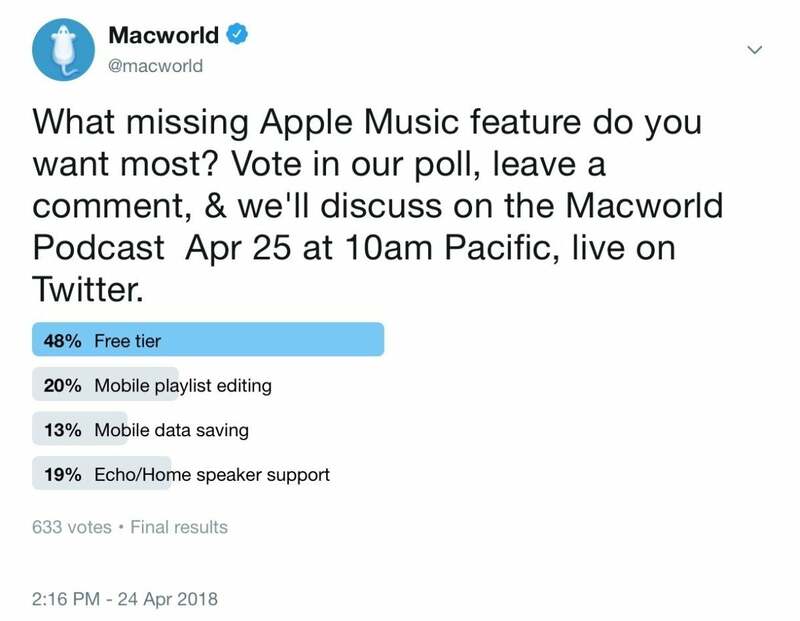 We also talk about various other Apple news and feature your comments and questions for Jason Cross, Roman Loyola, Dan Masaoka, and Michael Simon in the Macworld Podcast, episode 602. What missing Apple Music feature do you want most? Here are the results of our Twitter poll.